A previous post described the random free spectacles of the Paris streets. The largest and most ostentatious free show had a steady schedule. Every day, between 2:00 and 4:00 PM, the wealthy shamelessly exposed their luxury to each other, and to the unwashed masses, in the Bois de Boulogne parade. Before becoming the favorite place of all social Paris in the 19th century, the Bois de Boulogne had a history. Originally, the forest extended on the plains and hillsides of the right bank of the Seine. A landmark of brigands and vagabonds, the ancient forest was also the favorite place of royal hunts. At the end of Napoleon I’s regime, it was devastated by the occupying troops who encamped there. Although in poor condition and crossed by narrow roads of bad quality, it became nevertheless, around 1830, the rendezvous of all Paris society. In 1852, the State yielded the wood to the city of Paris with the charge of its development and maintenance. Emperor Napoleon III had envisioned the creation of a large landscaped park similar to Hyde Park. The project was entrusted to the engineer J.J. Alphand who created two lakes, the largest of which measures 19 hectares. Various amenities: large alleys, the racecourse of Longchamp (opened in 1858), the Garden of Acclimatization, and several restaurants completed the whole landscape. On the side of the great courtesans, luxury was no less brilliant. The famous Madame Musard had a half-Daumont, whose postilions were dressed in violet livery and mounted black horses of admirable beauty. Cora Pearl had set up her stable and was leading it with an authority that made the gossips tell that she must have been brought up by a groom. Adele Courtois, Caroline Letessier, the Barucci, famous for the baccarat affair, all had their car driven to the Daumont, and their livery could compete with those of the oldest houses of the Faubourg Saint-Germain. Lady Harriet, the courtesan who financed the emperor while he was waiting for his crown, approached by her colors the imperial livery. Madame Lejeune had the audacity to do better. She took the imperial colors outright. One day, her Daumont went out, preceded by two scouts in green and gold, with a hunter on horseback at the left door and two carriage boys following also on horseback. As she had a certain resemblance to the Empress, all the sergeants of the town who saw the arrival of this crew on the Place de la Concorde, rushed forward, made room for them, and finally raised the chains of the Arc de Triomphe, so that the sovereign could pass. She went in this style to the entrance of the Bois. This adventure made a big noise. As a consequence, it was expressly forbidden to employ a livery which, even approximately, recalled that of the Emperor. This luxury only grew from year to year. It was at its peak in 1867 at the time of the World Exposition. With the fall of the Empire, the splendor would gradually fade: the walks in the Bois and participation in the various events took a different look. During the siege of Paris, part of the food of fish and game came from the Bois. More destructive authorization was given to the trade of timber dealers to exploit the Bois de Boulogne. 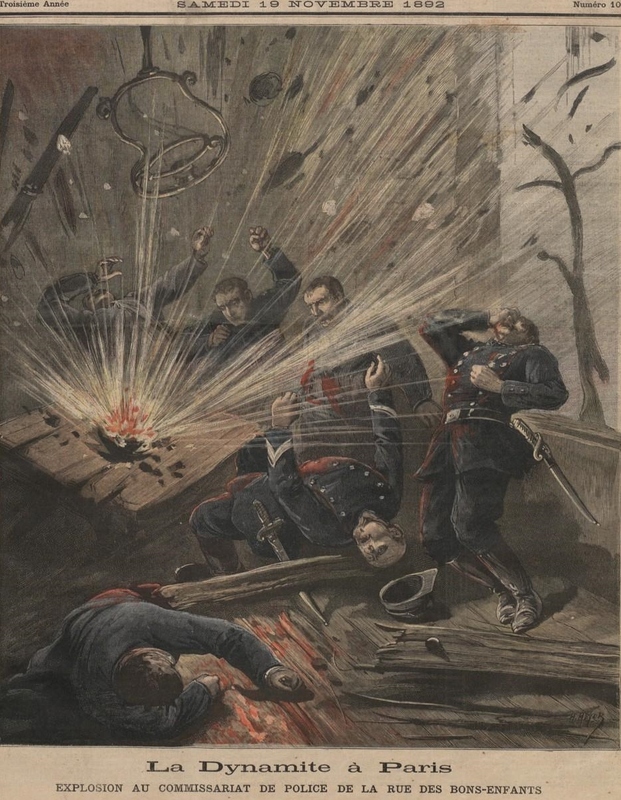 The devastation increased during the battles between Versailles and the Communards. After the war, the southern part, the most devastated, was transformed into the racecourse of Auteuil. From 1872, social life resumed and we could see again the parades of carriages crossing the Bois for the Grand Prix de Longchamp. After the Great War ended in 1918, this activity declined. The prodigal nobility of the nineteenth and early twentieth century no longer existed. Only the profiteers of war, the new rich, held the high ground and the automobile had taken over. An époque ended. So said Crafty, whose real name was Victor Eugène Géruzez (1840 – 1906). This graphic artist, painter, draftsman, and author of literature for youth, authored several picture albums depicting life in Paris in his humorous style. Let’s see how trees moved in Paris (and still do) as well as other spectacles, most of them completely free. The colorful Belle Epoque posters make the joy of collectors. Not only are they highly decorative and amusing in their occasional naïveté but they also inform us about the changing lifestyle. New alimentary products appear, such as chemical taste enhancers and food substitutes. Maggi, powdered milk, and margarine became regular ingredients of people’s diet. Chocolat, previously only served as drink, acquired the solid form of tablets as we know them today. Biscuits were produced industrially. “The French Sardine Says Hello!” Food talked to people before the advertising industry discovered that humanizing animals we eat was not a good idea. Sausages that “One Eats with Pleasure and Without Fatigue”. A prodigious pig (cochon prodigue) indeed! An animal that happily slices itself for the consumer’s delight would probably turn off today’s viewers. The Belle Epoque folk were made of a tougher stock. Seen only in greasy spoons today, a bottle of Maggi was a novelty worthy of a bourgeois table. Obviously, it makes some sense to the French. It was never easy to police Paris. 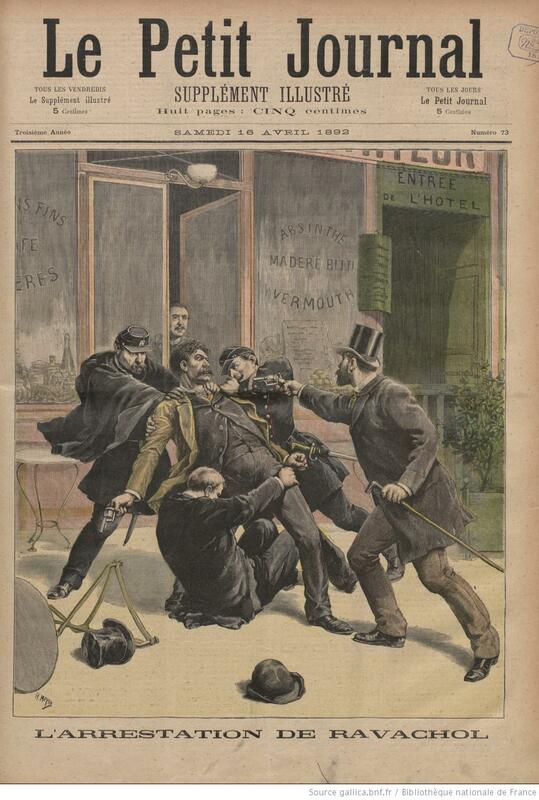 The Parisians, instead of being glad for the help and protection, have always despised their policemen. The contempt has been profound and general. It could be that the Parisians, more than most, don’t want to be told how to behave. A strike, a riot, a revolution, have been their tools of political and social change across the 19th century and well beyond. 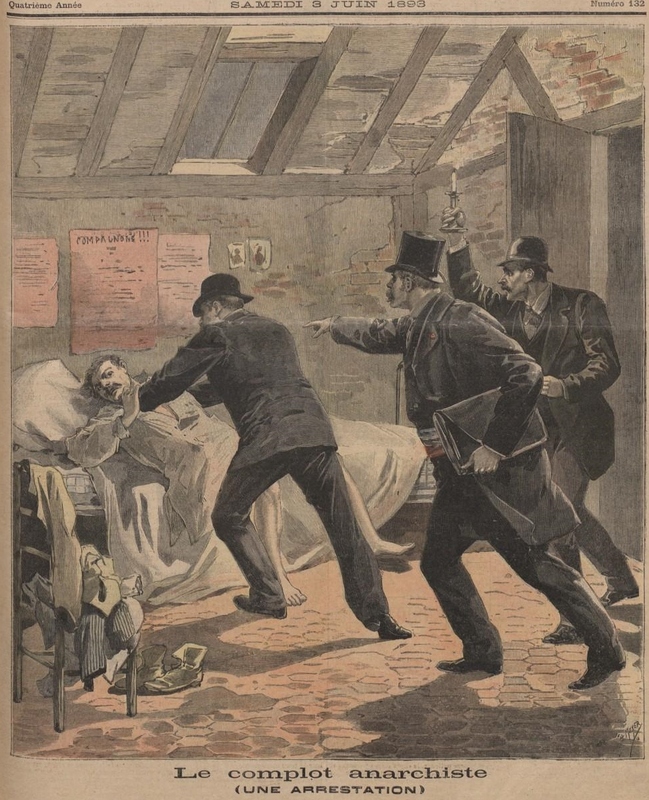 To say that policing during the Belle Epoque (1870 – 1914) was a martyrdom would be a slight exaggeration but it was a very hard job on a tiny pay. The police staff was recruited mostly from the army and the discipline in the police corps was just as hard, if not harder. The recruits had to have a virginal criminal record. According to the 1880s tariff, the policeman earned 4 francs and 75 cents for an eleven and a half-hour day. In comparison, a maid-of-all-work touched one franc a day. For that pitiful wage, the men had to risk their lives in many wild scenarios that are nowadays shared among different rescue services. 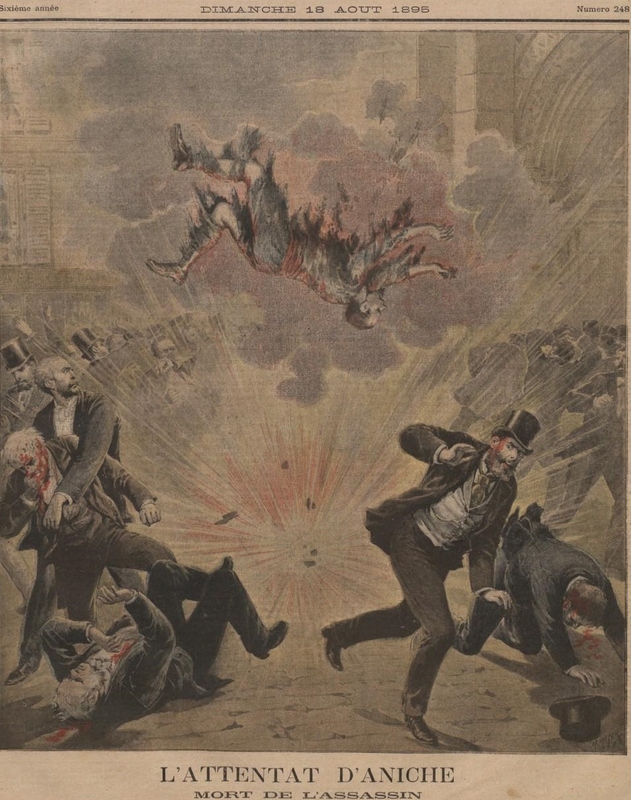 In 1884, for example, the statistics show one killed policeman and 144 injured ones. The Bois de Boulogne on the outskirts of the city continues to this day to be the playground of vice and crime. From time to time, the authorities ordered a thorough cleanup. James Tissot (1836 -1902) was a painter known on both sides of the Channel as he spent important chunks of his life both in England and in France. Born as Jacques Tissot to a prosperous merchant family in Nantes, Brittany, he decided to pursue an artistic career despite his father’s misgivings. He studied at the Ecole des Beaux-Arts in Paris and, in 1859, aged only twenty-three, he already exhibited at the prestigious Paris Salon. He began with depicting the Middle Ages but soon moved to the portrayal of fashionable life, where he excelled. Tissot’s name is evocative of pleasing paintings of pleasing people in pleasing situations. In the 1880s he produced a series of paintings called La Femme à Paris. We had already seen one of them—and the story it depicts—in the post Without a Dowry. More of the series paintings follow here. A lavish three-part Tissot’s biography can be found here. When you take a guided tour in France—whether it is a Loire château, or any other building erected before 1789—inevitably, there comes the time when the guide says: “Unfortunately, during the Revolution…,” and there follows a list of damaged or destroyed artifacts. The French were fond of revolutions – when they were happening. Afterward, seeing what they had done in moments of passion, they wept. The 1789 revolution, the very first one, is well known. The guillotine, the years of terror, the king Louis XVI and the queen Marie-Antoinette executed. Having gotten the taste of it, the French people became serial revolutionaries. March 18 marks the anniversary of the Commune of Paris, one of the three revolutions that shook the city in the 19th century and, decidedly, the bloodiest of all. The sixty-two days of its duration caused up to thirty thousand deaths (the number varies according to different sources). What led to this bloodbath? Why did the prosperous France of the Second Empire wake up as an impoverished Third Republic? Why was Paris in ruins? 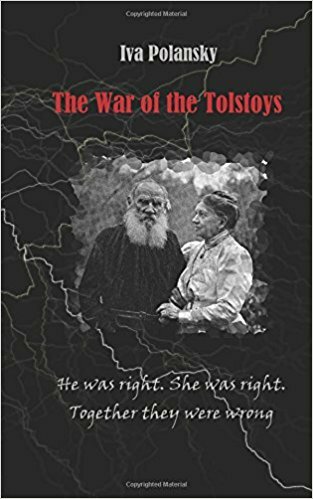 In July 1870, the French declare war on Prussia, or, rather, are tricked to do it. The crafty Chancellor Bismarck needs the conflict to unify a collection of small German-speaking countries into one powerful nation. Ill-prepared, the French army is defeated by the Prussians in the battle of Sedan and the emperor Napoleon III made prisoner. Riots in Paris follow the bad news and the next day, September 4th, the empire is overthrown. 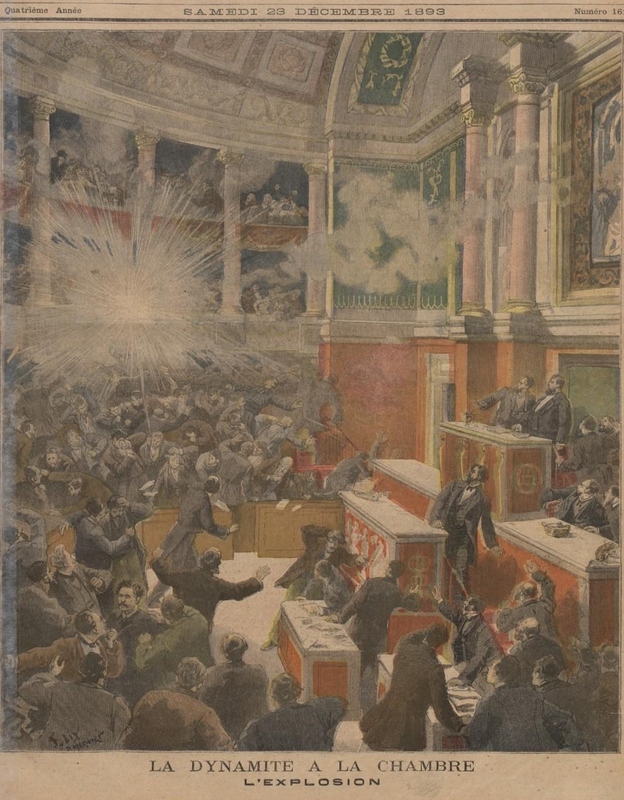 A Republican government moves into the City Hall, while the Prussians close in on Paris. Paris is besieged during the winter months. The weather is cruel and the city suffers from a severe famine. Hunger and typhoid fever ravage Paris from within, while the Prussians shell it from the outside. Starved and ill, the Parisians learn that a new humiliation had visited the country: the German Empire was proclaimed in Versailles and an armistice has been signed. This does not sit well with the Parisians, who do not consider themselves defeated. The German boots desecrating the exquisite beauty of the Hall of Mirrors? Ce n’est pas acceptable! Anger is rising when they learn the terms of peace. The Germans demand a two-day entry to Paris, the surrender of two provinces (Alsace and Lorraine) and war reparations amounting to one billion gold coins. Their army would occupy the country until the debt is paid off. Aware that a revolt is brewing, the government moves its headquarters from Paris to Versailles. The spark ignites when the government tries to disarm Paris by confiscating 248 cannons from Montmartre and other working-class neighborhoods on the periphery. The cannons belong to the city; they were paid for by war subscription. The people rise to defend their property and the soldiers’ loyalty shifts. Two generals are seized and shot. There is no way back. The insurgents erect barricades and the Commune of Paris is proclaimed. Elected on March 26th, the Commune is in direct opposition to the conservative national government. The core, like in all revolutions, are intellectuals, students, writers, artists, and artisans with egalitarian ideas and the vision of justice for all. Outraged as they are by the government’s betrayal, many Parisians of the middle class join in the insurrection. The main muscle of the revolution is the impressionable working class which, when excited, easily turns into a mob. Without a clear program and with no political experience, the feeling of brotherhood, with which the Commune started, changes into quarrel and resentment. Valuable time is lost in endless debates and little is achieved. Like George Sand, Parisians become tired of this bizarre social experiment. They long for peace and quiet; the poorer ones want to return to their familiar misery with its own reassuring habits. Others, the ardent supporters, are determined to fight. “The Commune or death!” they chant. Meanwhile, in Versailles, the government has reconstituted the army with war prisoners released by the Germans. The Germans hold their position northwest of the city while the Versailles troops approach from the southeast. Paris is surrounded again. The insurgents attempt several attacks outside the city walls, each time with no success. They send emissaries to Versailles, who are killed. The Commune, in turn, captures hostages, chiefly among the clergy. On May 21st, the Versailles troops break in and the infamous Bloody Week begins. The army takes no prisoners. Every adversary is shot dead. Unarmed civilians caught with gunpowder traces on their hands are executed as well. The Communards take revenge by killing the hostages. The Archbishop of Paris is among the victims. Paris is shelled again, this time by the French army. The Ministry of Finance is destroyed in the process. Fires break out in many prestigious locations. These are later explained by the partisans of the Commune as the result of the shelling. However, most of the gutted buildings bore no traces of shelling. They were deliberately set on fire. The legend of the pétroleuses, if it is a legend, started here. As a result, working-class women caught carrying a suspicious container were summarily executed. Government and police offices are consumed by the fire, their archives destroyed. The air, already unbreathable, is filled with whirling charred paper remains that settle on the roofs and sidewalks. The Tuileries palace is a total loss. The stones will be sold, piece by piece, as construction material. A wing of the Louvre also suffered fire damage. The revenge is atrocious and out of proportion. The Commune killed 64 hostages yet the insurgents are now butchered by the thousands. Nobody is spared, even the injured patients in an ambulance along with the doctors and nurses. Women are shot with children in their arms. The surviving rebels are marched twenty miles to Versailles. They suffer insults along the way. One of the gossipy Goncourt brothers later recalled that he saw society ladies, who had never raised their voice, vomit their hatred using invectives that would make a sailor blush. The prisoners, who were not condemned to death, were shipped to New Caledonia, an island in the Pacific Ocean. Forty-three thousand were sent there in crowded conditions and with little food. A handful came back after the amnesty twenty years later. In all, with thirty thousand dead, not counting the injured, and another forty thousand deported, it took over ten years to restore the Paris working force. Those people were not only the manual laborers. They were also highly skilled workers and artisans of superior training. Even today, 146 years after the event, there are fresh flowers laid at the wall where the last Communards were executed. The working class keeps paying respect to the victims of this Parisian calamity. 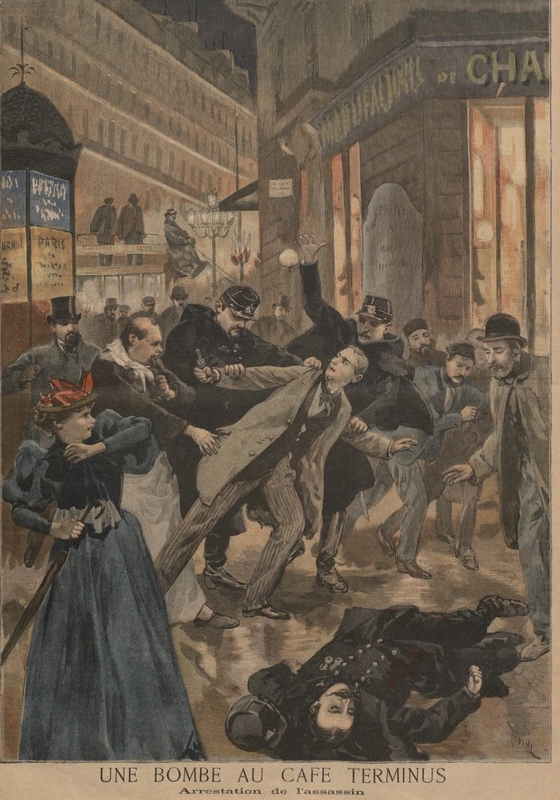 As terror stalks the streets of Paris these days, one is forced to remember the 1890s when the situation was similar; when men and women infected with extreme ideas and with no regard for human life carried out deadly attacks on innocent people. While the Islamists work for the ideal of the Caliphate—a worldwide state where everyone will be either Muslim or dead—the anarchists advocate a government-free, self-managed society.